Besides collards, lettuce, kale, corn, cabbage, tomatoes . . . 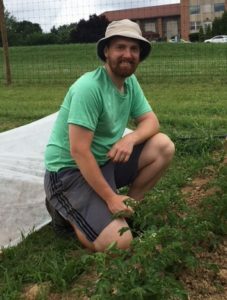 This past week we welcomed Brian Kelly as our first part-time Garden/Farm Assistant. Brian comes with a love for the outdoors, a passion for good food, and a background in landscaping. 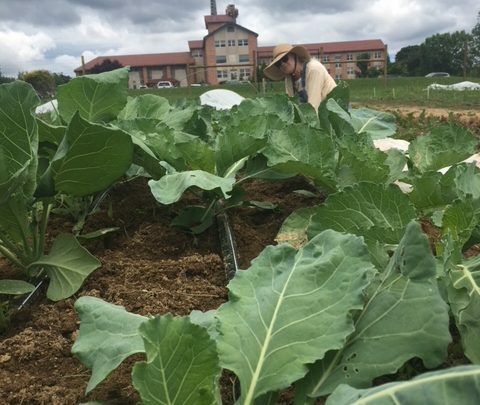 He has also been a member of Redeemer Valley Community Garden for the past 5+ years. 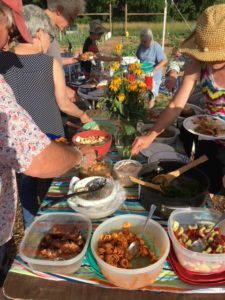 As a garden community we celebrated the arrival of Summer with our first Garden Social of the season in the new garden space. 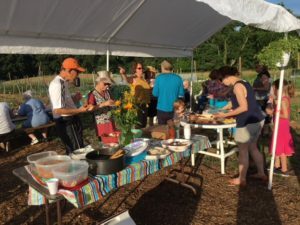 It was a beautiful evening to meet new gardeners, share good food, and admire the community plots and growing crops. 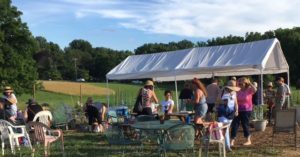 We look forward to the next such gathering.